Pre-order Your Cedar Leaf Kit! 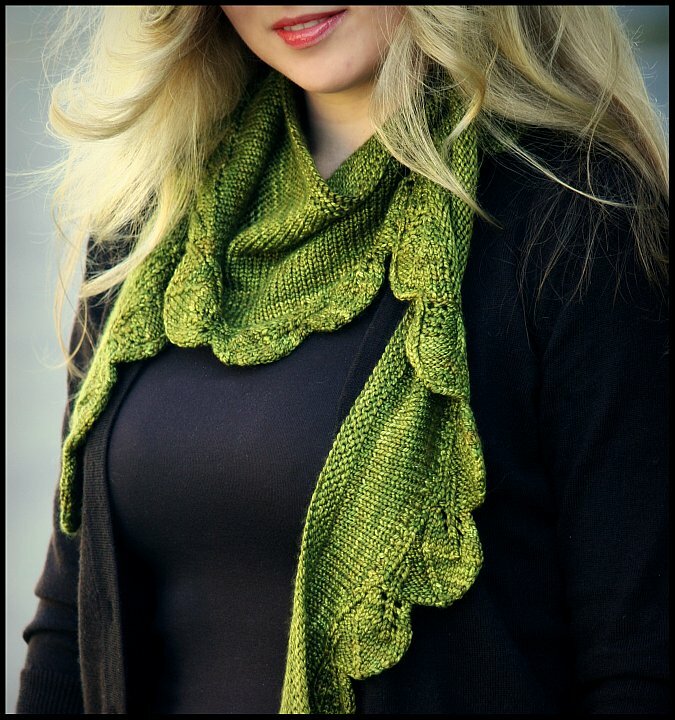 My new pattern the Cedar Leaf Shawlette will be available for purchase soon! If you are interested in knitting up the Cedar Leaf Shawlette, you are able to pre-order the kit in the fabulous Handmaiden Lady Godiva yarn right now through One Planet Yarn and Fiber. The kit will include the pattern and 2 skeins of Lady Godiva in the color of your choice at a 10% discount. One Planet wants to insure that the color you want is available. It will be dyed to order especially for you. I highly recommend this Cedar colorway. It is unbelievably beautiful. The way the greens and hints of brown and rust blend together is so reminiscent of Autumn. I've also been eyeing that Chocolate colorway. It looks so rich and decadent!